Browse: Home / 2014 / October / 07 / Presidents’ Forum on Global Education: Are American Students Ready for the World? Presidents’ Forum on Global Education: Are American Students Ready for the World? ARE AMERICAN STUDENTS READY FOR THE WORLD? The U.S. has lost its competitive edge in education. According to a 2012 report by Pearson titled “The Learning Curve: Lessons in Country Performance in Education,” the U.S. is now considered average. It ranks 17 out of 40 among developed countries for its education system. What is equally worrisome is that the U.S. lags behind other developed countries in both 4-year and 2-year degree attainment among young adults. 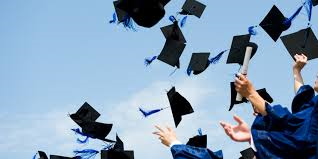 According to a December 2012 report by the Center for Public Education titled “Getting Back on Top: An International Comparison of College Attainment,” the U.S. ranks 11th (alongside Japan) with only 33 percent of the population, ages 25-34, attaining a 4-year degree. However, the U.S. is ranked 18th for percentage of young adults, ages 25-34 who hold a 2-year degree; only 10 percent of the U.S. population. Russia, which ranks 1st in the world for the same age group, has achieved 34 percent. The percentages are alarming given that 2-year degree attainment predicts how well educated Americans will be in the future. College degree attainment is linked to economic mobility and it remains the best pathway to the middle class. WHAT CAN WE DO ABOUT THE CRISIS IN HIGHER ED? Join us for an exploration of ideas with executives of leading educational institutions in our region! ← Council President Joyce Davis Appears on the Mark Steiner Show!